Comcast’s new Netflix killer can’t be a Netflix killer, because most of the people in the U.S. can’t use it. Streampix, the Web video service it is launching this week, will only be available to Comcast’s 22 million cable TV subscribers. But if Comcast wants to, it can change that overnight, as The Wall Street Journal’s Sam Schechner reported yesterday. The cable giant’s new content deals allow it to sell its stuff nationally, to anyone with an Internet connection, if it wants to. Comcast insists publicly that it has no interest in doing that. Privately, its executives say the same thing. They say they can’t figure out how to market and support a $5-a-month digital subscription service to noncustomers and still make money. So if things don’t change, then Streampix will work primarily as an anti-churn tool for Comcast — a carrot they’ll dangle to keep current subscribers happy. And it may also keep a few of them from signing up for Netflix, or renewing the subscription they already have. Which means it will join the growing number of Netflix killers that aren’t really Netflix killers, because they don’t have the same breadth of content, or are only available to a certain number of customers. Over the last couple of years, Amazon, Hulu and Dish/Blockbuster have all launched Web video subscription services that offer Netflix-like services. 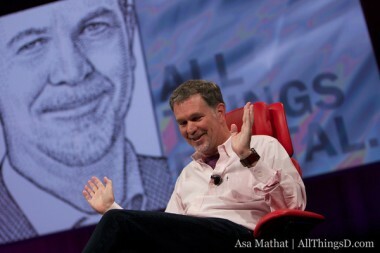 But, so far, none of them have really gone head to head with Reed Hastings. Later this year, though, Verizon and Redbox will begin selling their own Web video service, and the companies have been very clear that that one won’t be limited to Verizon customers. And it will definitely feel like a competitive service. There’s a good chance, for instance, that movies from the Viacom-backed Epix pay-TV channel, which currently run on Netflix, will appear on the Verizon service, too. So that’s one full-fledged (potential) Netflix killer launching this year. And another one that might turn into one, with a flip of the switch. That ought to keep the Netflix executives, and investors, occupied for a bit.